Next: COMPETITION: Bag yourself a £2000 Sainsbury's gift card! Previous: COMPETITION: Win a £200 gift card to spend at Primark! Thanks to our friends at Vintage Classics, we are giving away a wonderful collection of Jane Austen's highly praised novels to celebrate their July 2014 release! 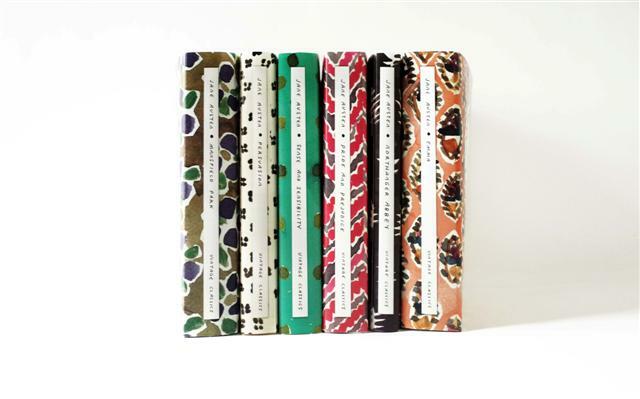 Each classic title in this collection will be published in July 2014 priced £7.99 each, making them the perfect collectable gifts for Austen fans and design devotees. Jane Austen was born in Steventon rectory on 16 December 1775. Her family later moved to Bath, then to Southampton and finally to Chawton in Hampshire. She published four of her novels in her lifetime, Sense and Sensibility (1811), Pride and Prejudice (1813), Mansfield Park (1814) and Emma (1816). Austen died on 18th July 1817. Northanger Abbey and Persuasion were published posthumously in 1818. Leanne Shapton is an artist, illustrator, and writer who was born in Toronto and now lives in New York. She has contributed to The New York Times, Harper's Magazine and The New Yorker, among other publications. She is the author of several books including Was She Pretty? and Swimming Studies. Where was Jane Austen born? This competition closes on August 18th. We will inform the winner by email. UK entrants only. There is no cash alternative. Editor's decision is final.